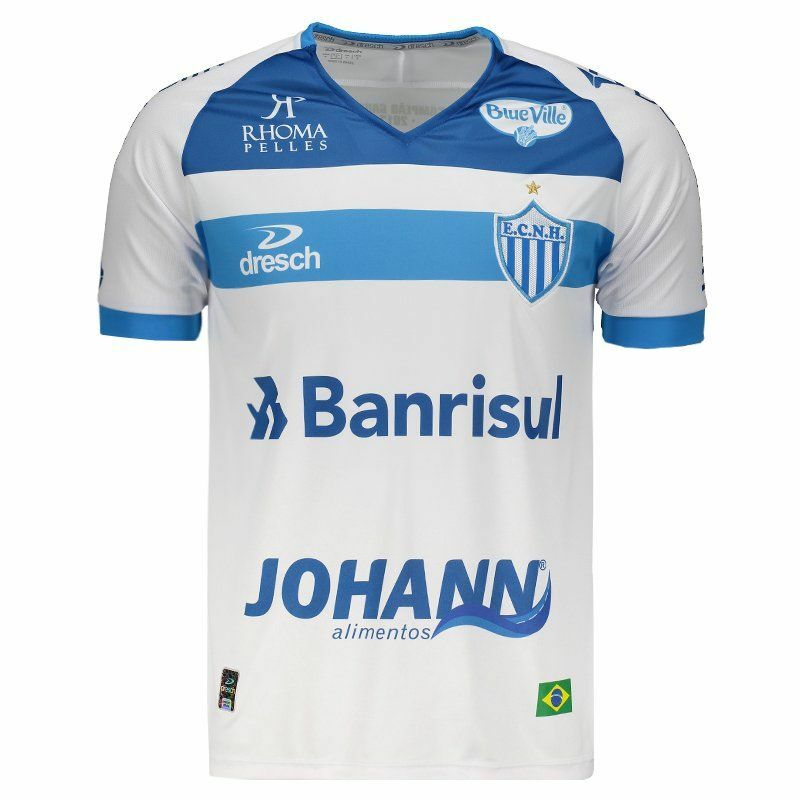 Dresch's reserve jersey for New Hamburg for 2018 is ideal for fans to wear their cloaks and vibrate in stadiums. The piece can be personalized with number and is made of light and flexible polyester, guaranteeing freedom of movement. More info. 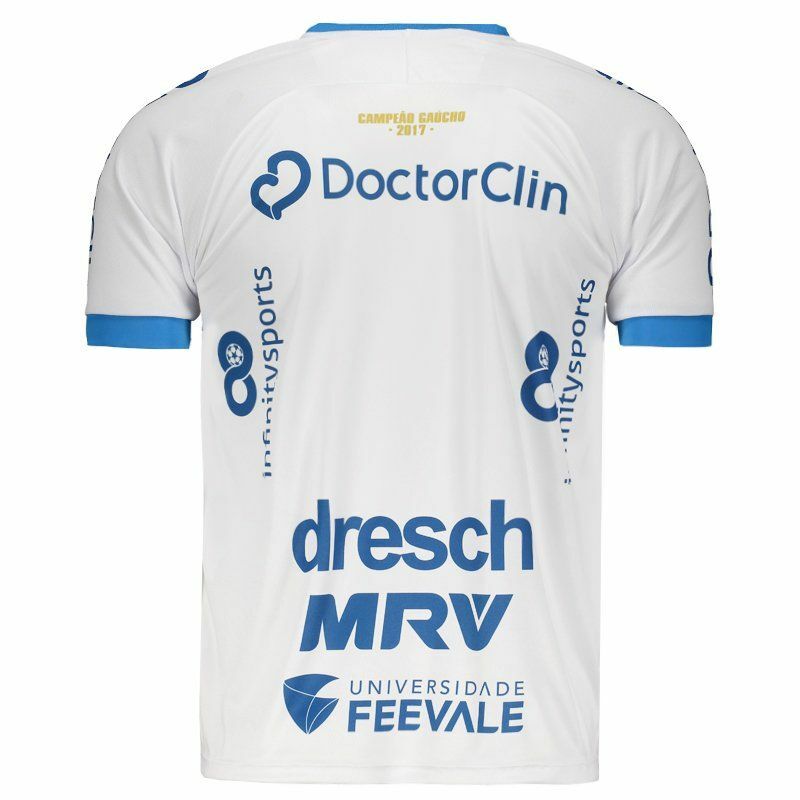 Dresch's away jersey for New Hamburg for 2018 is ideal for fans to wear and vibrate in stadiums. The piece can be customized with number and is made of light and flexible polyester, guaranteeing freedom of movement. 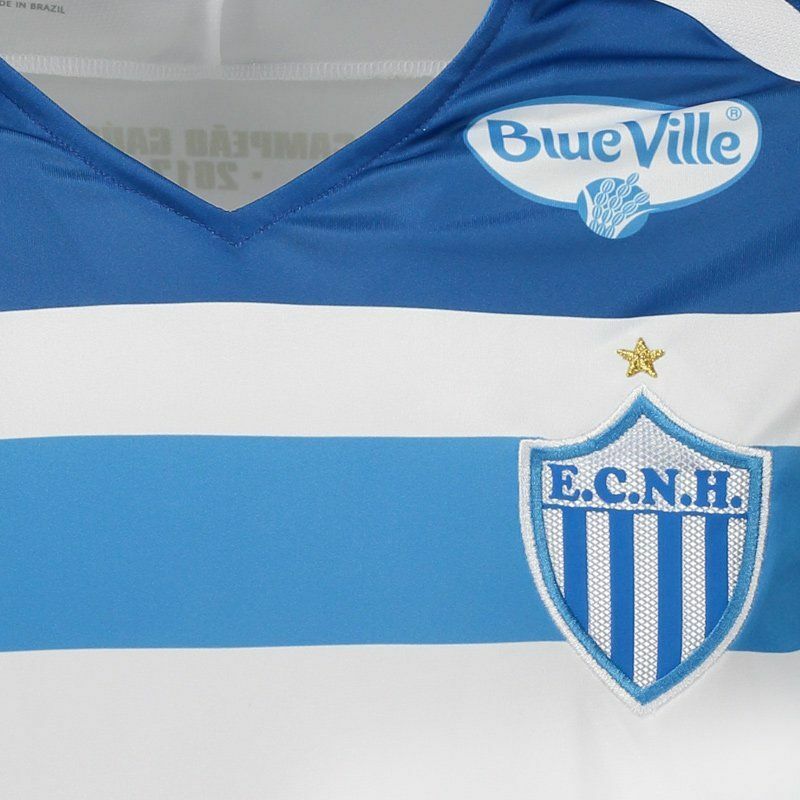 The design is predominantly white and features two horizontal stripes in different shades of blue, the upper one being darker and the other lighter in tone, past the club badge. 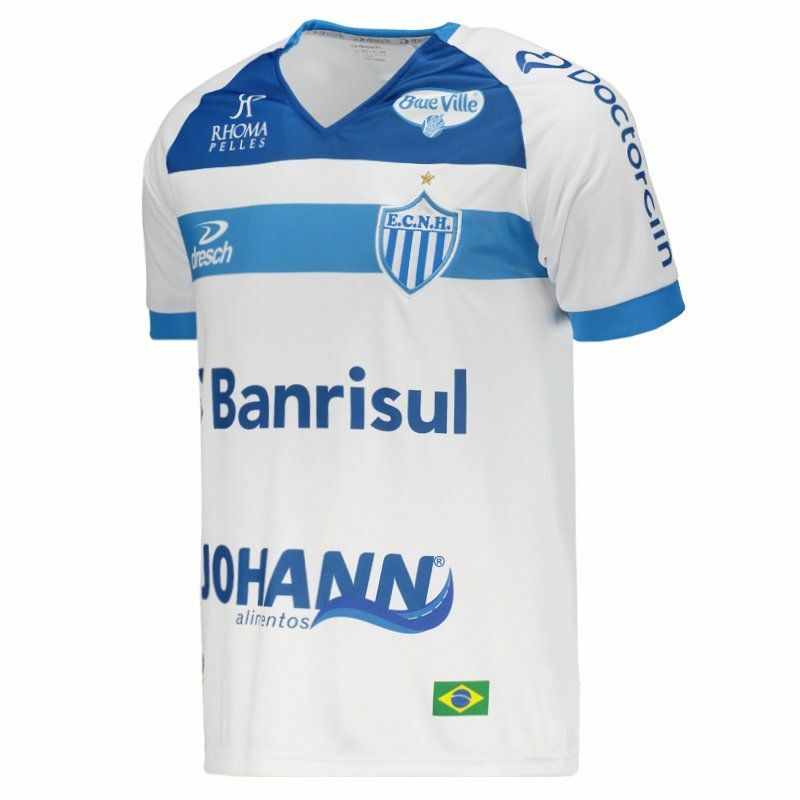 In addition, the collar is V and features cutouts in sky blue, as well as the cuff of the sleeves. Near the nape of the neck, the seal in reference to the gaucho title won in 2017 is present. Finally, the sponsorship poster complements the details. Get it now!